07 | December | 2018 | Utopia – you are standing in it! This entry was posted in movies, television on December 7, 2018 by Jim Rose. This entry was posted in applied price theory on December 7, 2018 by Jim Rose. This entry was posted in movies on December 7, 2018 by Jim Rose. This entry was posted in economics of crime, human capital, labour economics, law and economics, occupational choice and tagged crime and punishment, criminal deterrence on December 7, 2018 by Jim Rose. This entry was posted in applied welfare economics, economic growth, industrial organisation, international economics, International law, macroeconomics and tagged Brexit on December 7, 2018 by Jim Rose. This entry was posted in health economics on December 7, 2018 by Jim Rose. This entry was posted in defence economics, war and peace and tagged World War II on December 7, 2018 by Jim Rose. 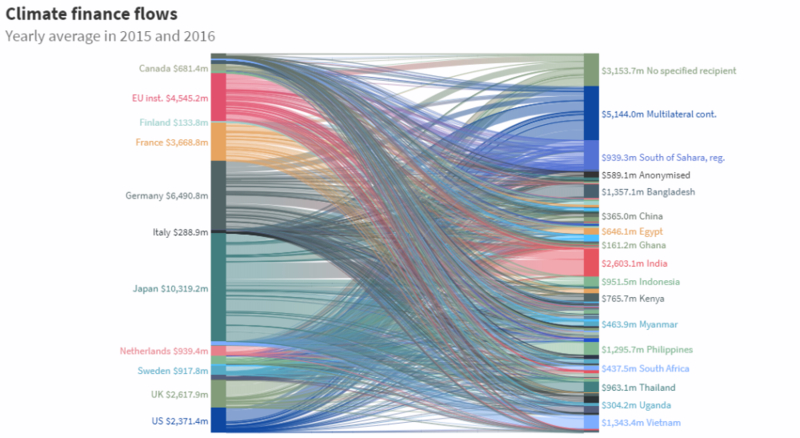 How climate finance ‘flows’ around the world is an informative article from CarbonBrief. Excerpts below in italics followed by a comment from Bjorn Lomborg. This entry was posted in economics of love and marriage and tagged marriage and divorce on December 7, 2018 by Jim Rose. This entry was posted in war and peace and tagged World War II on December 7, 2018 by Jim Rose.